I Did Not Know You Could Eat Rowan Berries! All the Rowan ( Mountain Ash) berries are out and the birds are in heaven. I think they are a bit early this year. 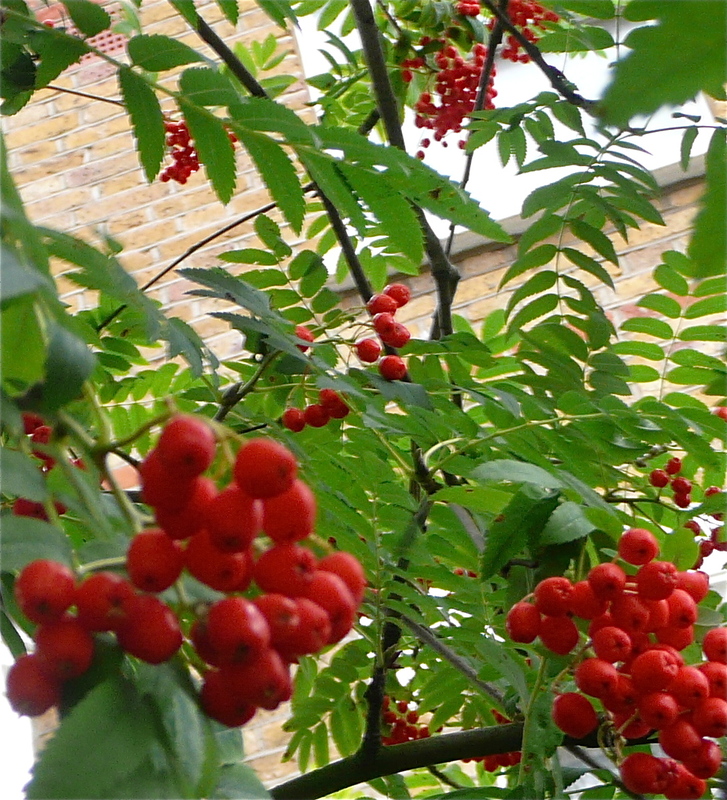 Everywhere in London the Rowan trees are winking with crimson, juicy berries, which I knew where delicious for the birds so should have put two and two together as they are edible and good for making jam and things. The link here tells me that they are also good for singers, and you can gargle with the juice. The birds never eat them all, so I reckon I might harvest a few, though last year big flocks of redstarts came over from some where like Finland and ate the rest in about february…wow…a bird anorak too! My favourite plant in our back garden is unknown. Mr P. reckons it is a thornless blackthorn. He bought it from a garden centre, it was one straggly thing in a corner with no label. It is trained to grow against a wall and has the most beautiful leaves that go through all shades of amber to red in the autumn. At this time of year it is full of very plump looking black berries which last about two weeks, because the blackbirds gorge themseves on them until the shrub is berry less. 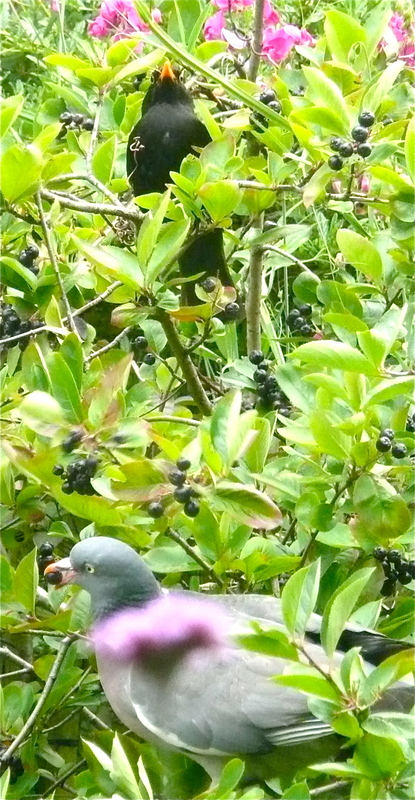 The wood pigeons try to eat the berries and manage it every so often, but are a bit big for the thin branches and end up just sitting around not getting much action at all. The end of term is is either today or tomorrow, unless you go to a posh school in which case you have been off for weeks. 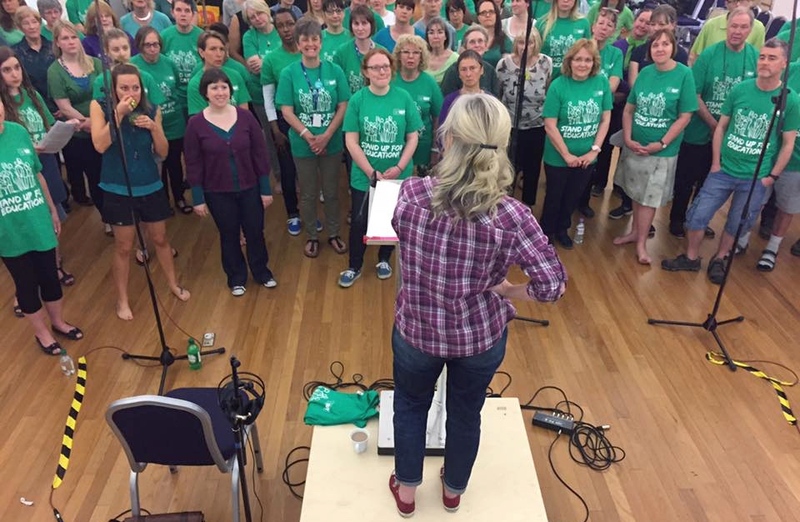 So look out for the flocks of single and/or young drunk teachers everywhere during the next two nights…best avoid pubs tomorrow night altogether, cos it aint pretty…. . So cliches apart…who cares. I love the fact that when this track came out …there they were, the rebels in the audience, wearing floral smocks, check out the girl Alice grabs to dance with at the end…I remember having something very similar in my wardrobe, that I probably made myself though I was almost not even a teenager then. I suppose floral smocks were a nice alternative to the outfits 10 year old girls are wearing now, which look much more like what Alice and his band are wearing. Bring back the floral smock! BRING BACK THE FLORAL SMOCK! Oh bums they did….it’s everywhere…and it was not a good look the second time either…I can’t believe Alice Cooper was 24 when this video was made…he looks 63…oh that is how old he is now……good ploy..look ancient when you are young ….the best bit is the electric guitar at the beginning.